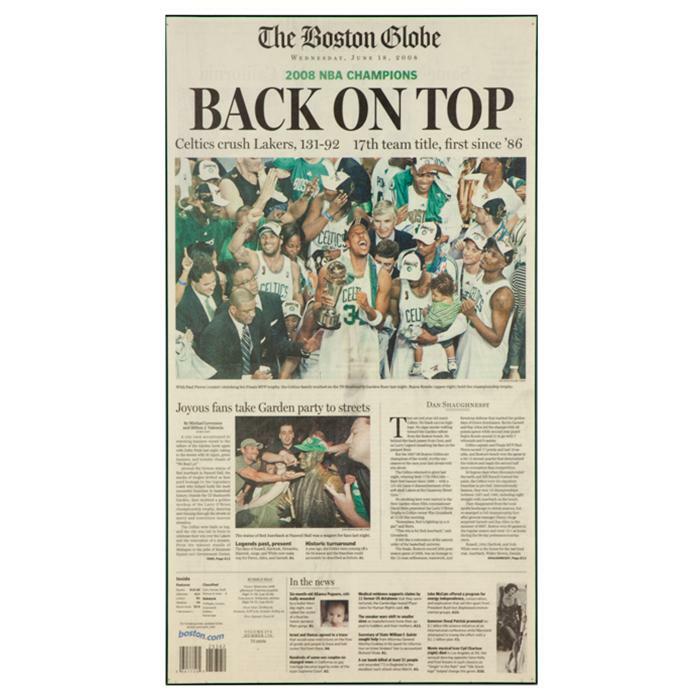 Framed Size: 11 3/4" x 21 1/4"
Original newspaper from Celtics 2008 basketball championship. U.V. laminated to 3/8" deep wood with a green outer edge.